This is a version of the Genome Browser that is customized and maintained by the NODAI Genome Research Center (NGRC), Tokyo University of Agriculture. In the Genome Browser window, differences in the genome sequence of each Mishima-Ushi individual from the reference sequence (Btau_4.6.1/bosTau7; released Oct, 2011) are available; SNPs are shown in blue, insertions in red, and deletions in green. Mapped sequence reads can be viewed in the coverage track. The positions of the differences for Kuchinoshima-Ushi are also shown. 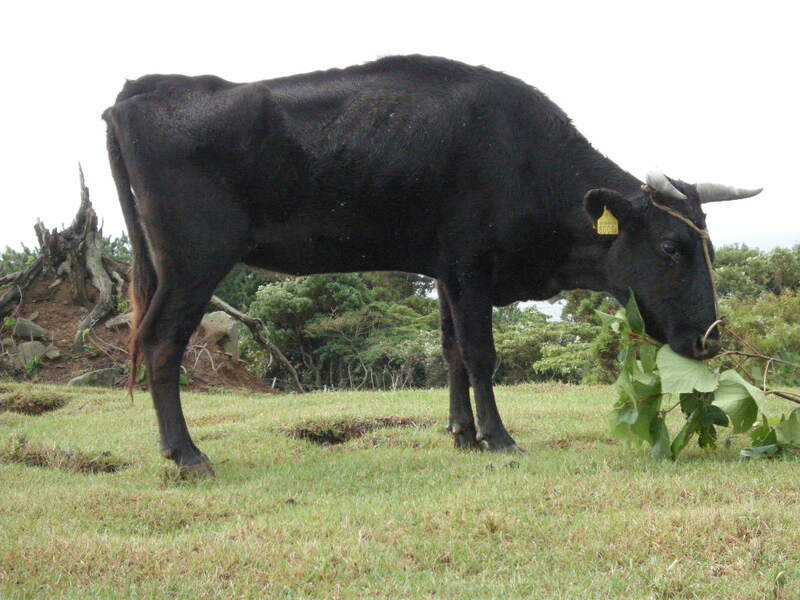 Native Japanese cattle, Mishima-Ushi was designated as a national natural treasure in 1928. 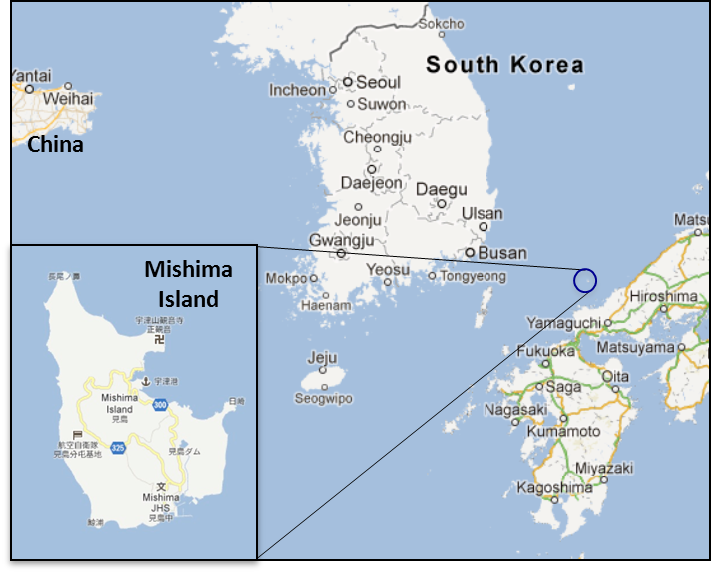 Mishima-Ushi individuals were isolated on Mishima Island at least 200–300 years ago and that they are still breeding as a closed colony on the island today. Mishima-Ushi is characterized as being lean with a small body size, wide breast, and narrow waist, similar to the Japanese native cattle Kuchinoshima-Ushi, while the marbling of fat in the meat of Mishima-Ushi is prominent as observed in Japanese Black cattle, suggesting that the Mishima-Ushi species might have contributed to the establishment of the present Japanese bovine breeds. Kaoru Tsuda, Ryouka Kawahara-Miki, Satoshi Sano, Misaki Imai, Tatsuo Noguchi, Yousuke Inayoshi, Tomohiro Kono. Abundant sequence divergence in the native Japanese cattle Mishima-Ushi (Bos taurus) detected using whole-genome sequencing. Genomics. 102(4):372-8. Please contact us (nodaigc[at mark]nodai.ac.jp) when you use any information in this site. If you use any data in this site in your recent work that will be published in a journal or on the website, please cite our publications. In addition to the relevant paper, please include a reference to our website in your manuscript [http://www.nodai-genome.org/bos_taurus_en.html].